All of the organizations have Japanese-style education programs in place and provide thorough training to the interns in cooperation with Good Harmony. 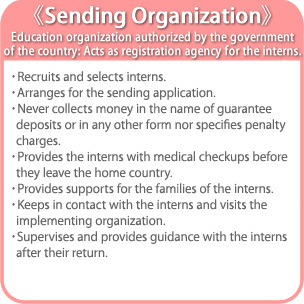 Interns are provided with approximately 3 months of training through education organizations authorized by the governments of respective countries. By interviewing technical interns face to face, you can find the one best suited to your corporate culture. 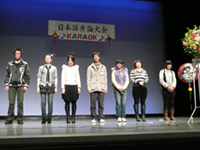 ・Good Harmony only entrusts trainings within each country to education organizations authorized by the government of the country. Japanese language teachers design curriculums that are consistent with the contents of the programs provided by the sending organizations. 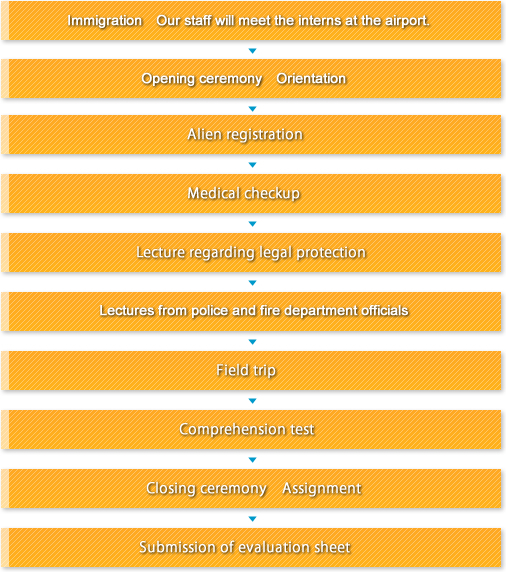 Detailed education is provided on the knowledge necessary for life in Japan such as; common practices in Japanese workplaces, proper manners in everyday life, Japanese customs, and cleaning. We will provide companies and interns with all necessary explanations for compliance. Japanese language learning materials are provided monthly. Comprehension tests are conducted once every 3 months. Interns have opportunities to participate in essay contests held by JITCO. We support interns' studies for the Japanese Language Proficiency Test. So far we have had interns who have passed N1, N2, N3 and N4 levels. Staff interpreters are even available at night time and during holidays to solve any problems interns might have. On-line support is also available (free chat service). We have special education programs and support systems for various qualifying examinations. Interns give us their updates after returning to their home countries. When you visit your intern's country, we hold a luncheon inviting the intern.